Here you can view stats about your Events. This shows data for the latest Events with a key below to what each colour represents. 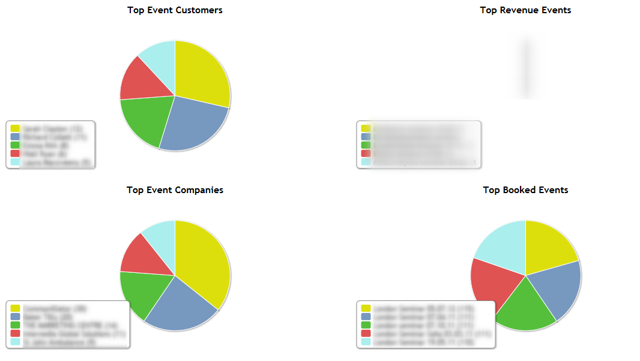 This shows you the Top Customers, Companies, Revenue Events and Booked Events.